The PowerFlex700 VFD Drive’s specifications include 480 VAC, 3 PH, 11 Amps, 7.5 HP Normal Duty, 5 HP Heavy Duty, IP20 / Type 1, with conformal coating,This unit comes with No HIM (Blank Plate), Brake IGBT Installed, This Unit Comes Without A Drive Mounted Brake Resistor, Second Environment Filter per CE EMC directive (89/336/EEC), There is No Communication Module on this unit, Vector Control with 24V I/O, Without Any Feedback. 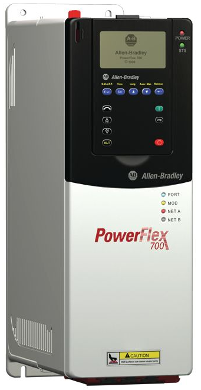 The PowerFlex 700 VFD Drives are available in a range of horsepower ratings. These drives operate three phase induction motors with requirements ranging from the easiest speed control to the most stringent torque control. The PowerFlex 700 VFD drives offer app specific features for lifting, oil wells, and speed and positioning. The Available VFD drives provide supplementary control, power, and enclosure options in optimal designs. The PowerFlex 700 Pump and Fan packaged drive is an efficient solution for speed control in fluctuating torque fan and pump applications. 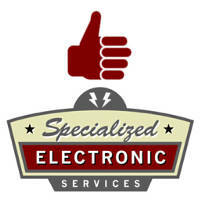 We are an accredited business with the Better Business Bureau in the United States.